James Harden inched past Wilt Chamberlain and didn't stop his latest one-man show until he'd tied Kobe Bryant. 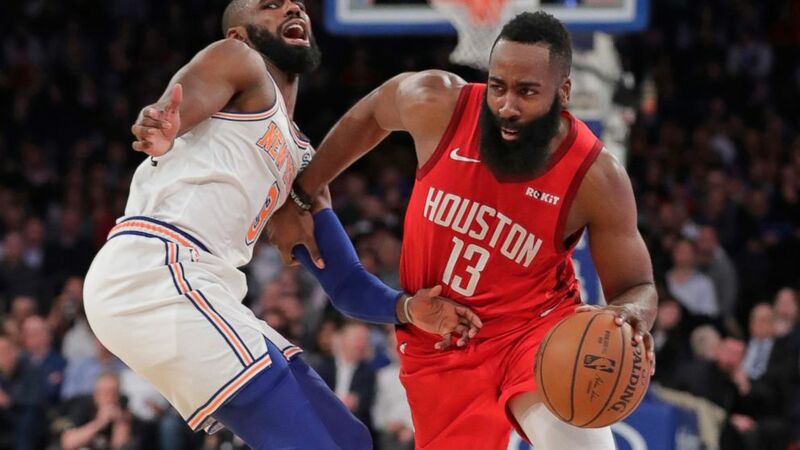 The Rockets led by 10 after three, but the Knicks quickly cut into it when Harden was on the bench. New York eventually took a couple late leads — helped at one point when P.J. Tucker inexplicably refused to pick up Gordon's inbounds pass to allow a layup — but couldn't hold on, losing for the 15th time in 16 games.